The apartment was easy to find and access. It was great - clean, spacious and comfortable. Very friendly communication with our host. They made our stay very pleasant. Felt at home, looking forward to returning again. We will definitely recommend your Apartments to friends. We've enjoyed our stay here. Thanks for everything. 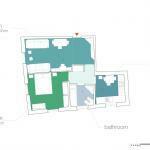 The apartment is in a perfect location and it's beautifully proportioned, just the right size for us. 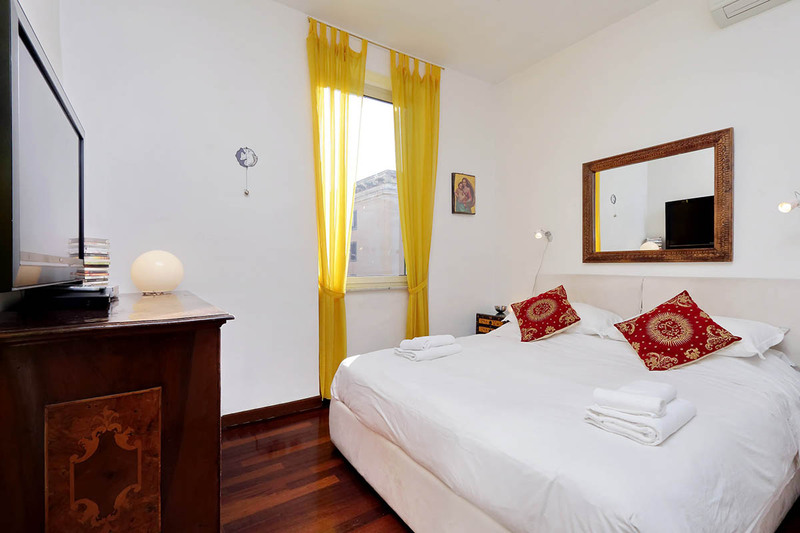 I wouldn't hesitate to recommend this to anyone staying in Rome. 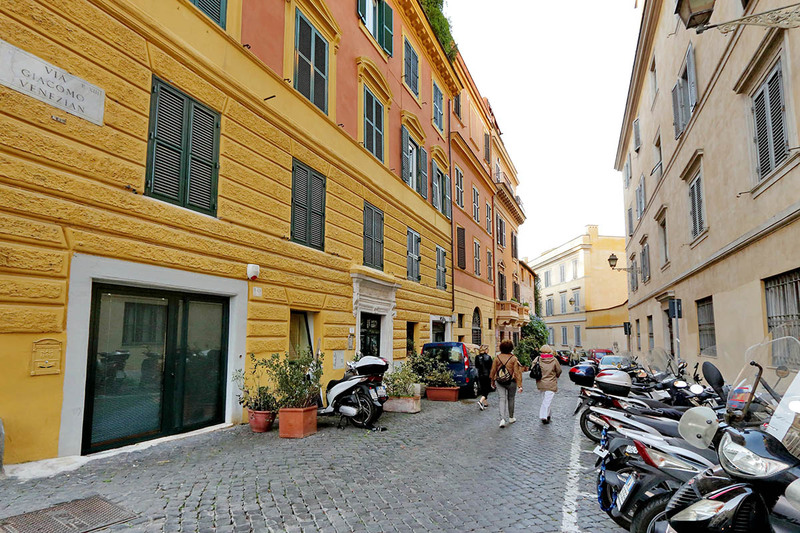 We enjoyed the great location in Trastevere close to a variety of restaurants etc but away a little from the tourist hustle and bustle. The apartment was well equipped and very comfortable. The Romeloft service via Mr Honey was excellent. Wish the shower over the bath had a screen so you could stand up in it! The apartment was better than we expected from the photos and description. Lovely, cosy and extremely clean. 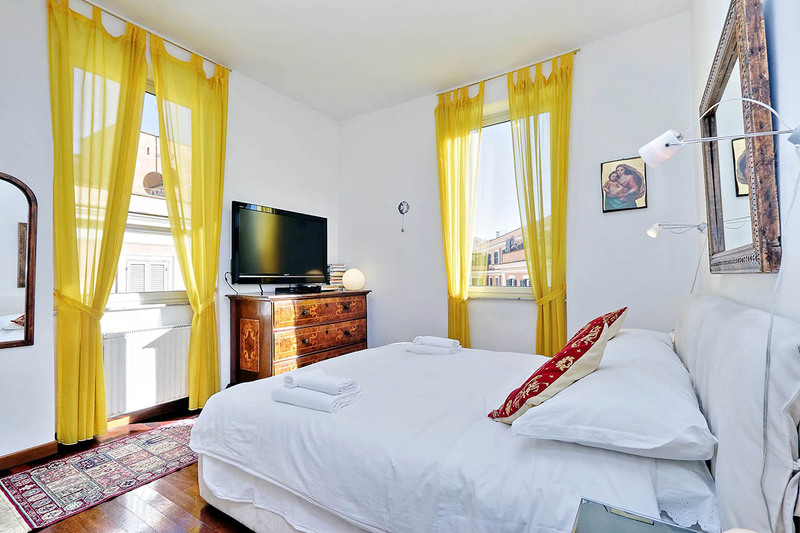 The location is wonderful jest in the middle of Trastevere. We definitely felt as romans, which was a great experience. This air conditioned unit has been recently renovated, with good taste. 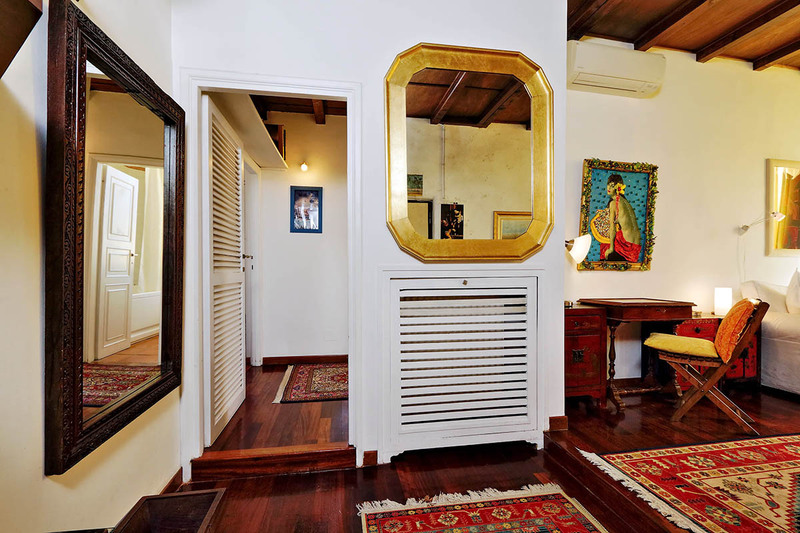 It is located in one of the most central and quiet streets of the Trastevere area: Via Venezian. The unit features a cozy living room, well furnished with sofas (on which two guests can sleep), armchairs, a coffee table, a nice carpet, and a book collection. 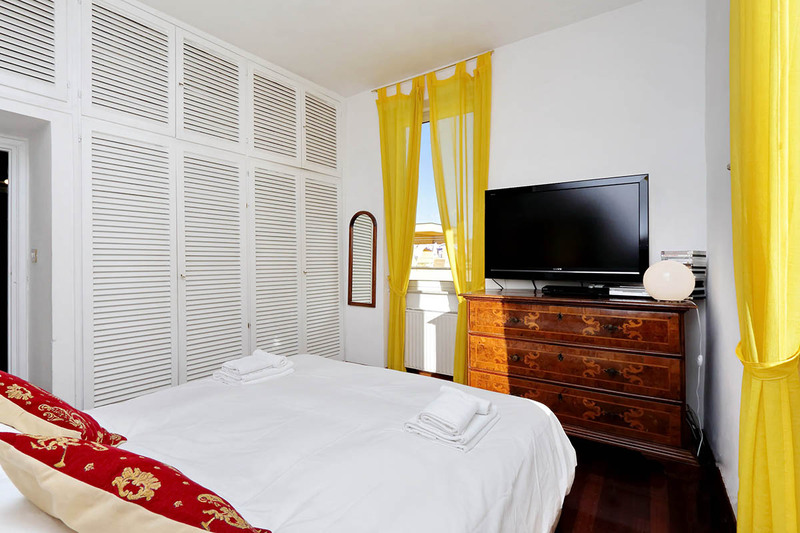 Here you will also find a flatscreen TV, a DVD player, a Hi-Fi stereo system and Wi-Fi Internet access. This is thus the ideal place to relax and unwind after a long day of sightseeing and exploring. 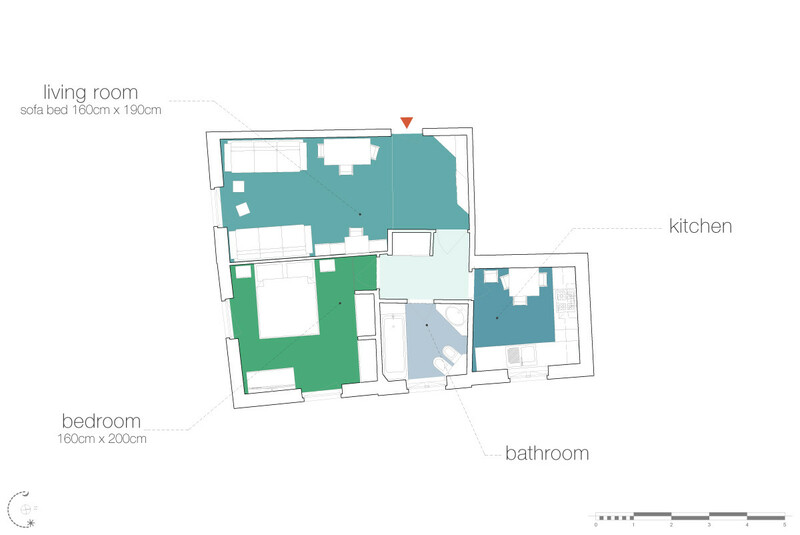 Next to the living room, there is the master bedroom, with a king size bed, night tables, and night lamps. The wide wardrobes offer plenty of storage space during your stay. The kitchen is well equipped, with a gas stove, an oven, a fridge, a freezer, a dish washer and a washing machine. All the necessary cooking equipment is provided, as well as the basic utensils. This is ideal for those days where all you want to do is enjoy your evening meal in the peace of your own home, rather than the bustle of a restaurant! 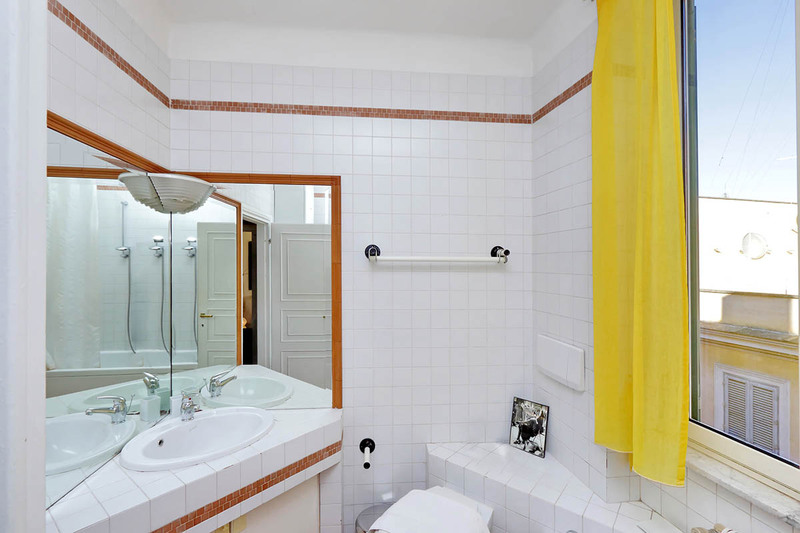 The bathroom completes the unit, with a fantastic Jacuzzi bathtub (which has also a shower head). We highly recommend this lovely apartment to anybody who wants a great deal in an amazing part of town! It is also possible to enjoy the lovely shared terrace, recently restored. You couldn’t ask for a better location in this neighborhood, where you’ll find the excellent open air market of Piazza San Cosimato (great to pick up some fresh fruits and vegetables). Moreover, there are many great lunch places, such as take-out slice pizza. However, evening-time is when Trastevere really comes to life. People seep into its tiny cobbled streets from the many bars and restaurants, creating a warm and friendly atmosphere. Trastevere is one of the districts in Rome that is most famous for its aperitivo bars. The most popular is perhaps Freni e Frizioni, whilst smaller places such as VinAllegro also provide great buffet selections. Crossing the river you will find yourself in a great place to start exploring Rome. Here you will find the Campo de’ Fiori, and its morning market of fresh produce. Why not come here to pick up quality ingredients to cook up your own delicious meals? A little further and you will come across the impressive Piazza Navona. Exploring deeper into the historical center you will come across the Pantheon, Trevi Fountain, Spanish Steps, and Piazza del Popolo. Keep heading south to find the Piazza Venezia and the Colosseum area. Keep heading north to find the Vatican City. Both of these are also reachable by bus, many of which run along the riverside just in front of Trastevere. 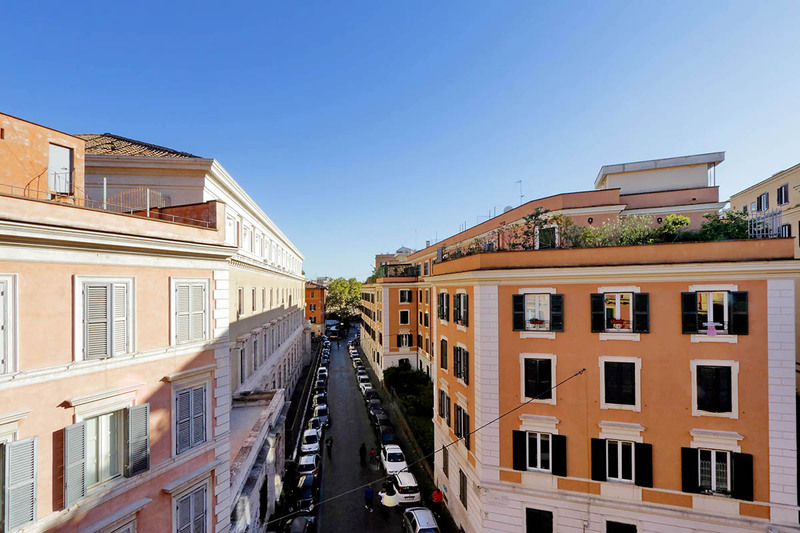 5 people are currently looking for apartments in Trastevere area. Reserve yours now. Tha apartment was cozy, nicely decorated and well appointed. We found everything we needed and felt at home from the moment we walked in. The location is fantastic. Close enough to all the restaurants, trattorias and boutiques yet far enough, a couple of blocks away, to enjoy the quietness of a residential area when we needed to rest. After full da...Read Moreys of touring, shopping and enjoying Rome we just loved being able to relax in the Jacuzzi, a real treat at the end of the day. Having a fresh fruit and vegetable market only 2 blocks away allowed us to prepare delicious home made meals using all the wonderful fresh produce on sale or which they ordered for us - in this case fresh porcini mushrooms!!!!. The terrace on the roof top was an extra bonus which we greatly enjoyed.The staff were cordial, accessible and always ready to help in the most expeditious way, from the moment we contacted Romeloft, when we received the keys to the apartment, to the comfortable and convenient drive to the airport. It was all a most pleasant and enjoyable experience. Staying in one of Romelofts "homes away from home" definitely beats staying in a hotel room. We will definitely use them again. Thank you very much for making our stay a most pleasant one. Arrividerci!!! 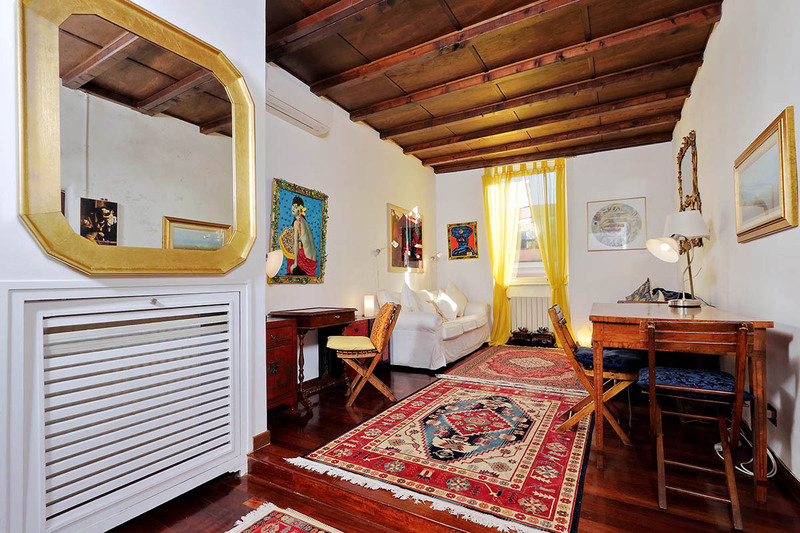 We really enjoyed living in this apartment during our stay in Rome. We highly recommend it. It is very cozy and charm. 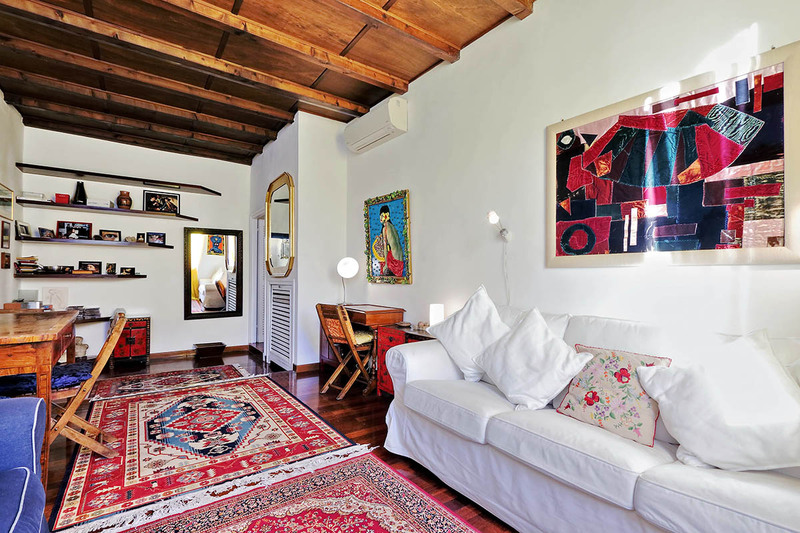 You can feel the good style and dedication of the owner in a lot of details (posters of Tiziano, Michelangelo and Caravaggio in the kitchen). The lighting of the apartment is very cozy. Even though it doesn't have lift, it is ...Read Moreno a problem because you get used to it, and you feel living like a Roman. It is in a quiet neighborhood without tourist (except us). A beautiful view of the streets nearby. It is very near Il Tempietto of Bramante and Piazza San Cosimato Open market that we recommend to visit. You will be surprised of this apartment, it is more than it is described in the photos. . 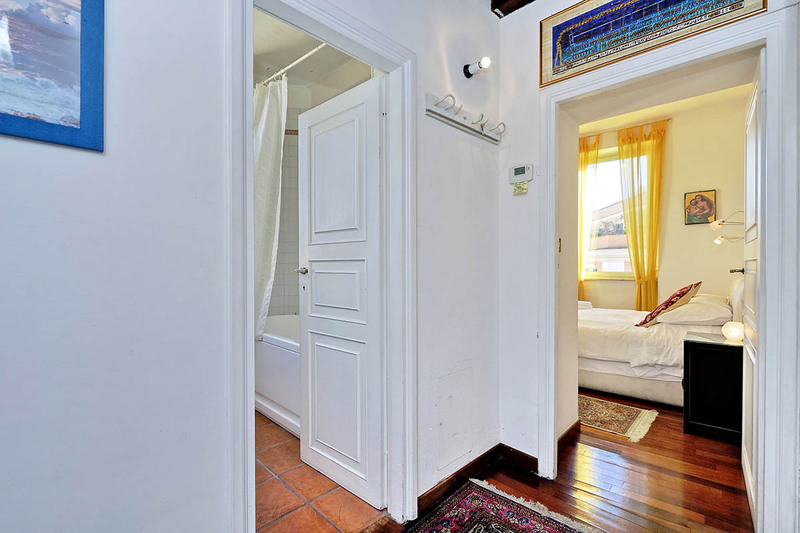 Fantastic apartment located in the heart of Trastevere. Great neighbourhood with lots of local restaurants and authentic shops, bars and markets. All Rome landmarks are no more than a 20 minute walk away. The apartment itself is 4 stories up without a lift, so you want to be sure you can handle stairs! Other than that it was amazing. If I were a ri...Read Morecher man, I would offer to buy the place and pack up and move in a heartbeat! Thank you RomeLoft! We enjoyed our time in La Scaletta very much. It is centrally located although Trastevere has become much busier than I remember. The apartment was very comfortable and catered adquatey for our needs. One suggestion is to install an electric jug or kettle to make it easier to boil water. Using a saucepan to make tea is not ideal. 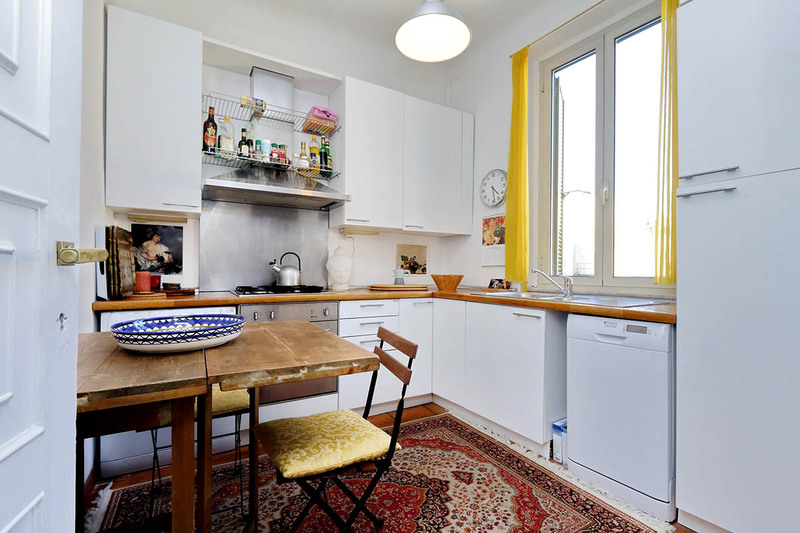 The fact that it w...Read Moreas easy to walk to the Campo Di Fiori and other lovely places make the apartment a very attractive place to stay.